LONDON (CelebrityAccess MediaWire) — Thirty thousand tickets for the Diana memorial concert were sold out in just 20 minutes, but the concert organisers were left furious after many of the £45 seats found their way straight on to auction website eBay at up to five times their cover price. Groups of two and four tickets to the show at Wembley Stadium on July 1 next year, marking her 46th birthday, were changing hands for as much as £850. 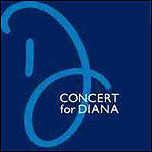 A spokesman for the organisers branded it a "disgrace" and called on eBay to immediately pull all the tickets for the concert, proceeds from which will go to charities supported by Diana. He also criticised eBay itself for advertising the ticket sales on search engine website Google. "We appeal to them to come to their senses like they did with Live8 and remove all sales of Diana concert tickets on eBay," he said. EBay stopped sales of Live8 tickets last year after Sir Bob Geldof attacked the tout trade as "sick profiteering". A spokesman for eBay promised to remove the Google advert and halt the re-sale of tickets to the show, which will feature Sir Elton John, Duran Duran, Joss Stone and Andrew Lloyd Webber and is the brainchild of Diana’s sons, William and Harry. He said: "In view of the unique and commemorative nature of the event and as a mark of respect for the memory of the late Diana, Princess of Wales, eBay has decided to not allow the re-sale of tickets." When tickets were still on sale on the site at lunchtime yesterday, eBay said it was working hard to take the offers down as soon as possible. "We are urging people not to post them on the site and are working our way through them," said the spokesman. The Princes have said they want the concert be "the best birthday present" for their mother. William said: "We wanted to have this big concert full of energy, full of the sort of fun and happiness which I know she would have wanted." Duran Duran singer Simon Le Bon said: "The concert seems an entirely fitting way to celebrate her life and her work. "We are honoured that she always referred to Duran Duran as her favourite band as she was certainly our favourite princess."